Angela Easson is a vibrant, up-and-coming singer/songwriter. Blitzing Australia’s modern country scene with her hard-earned reputation for mixing infectious melodies with her intensely personal lyrics, Angela is rightly regarded as a rising star. Angela began singing country in the idyllic Mount Gambier region, before moving to Adelaide. She started playing with the Onkaparinga Big Band, adding blues and jazz influences into her repertoire, shortly before branching off into other musical endeavours. Angela was named as the 2010 Entertainer of the Year by the Norfolk Island Country Music Festival. 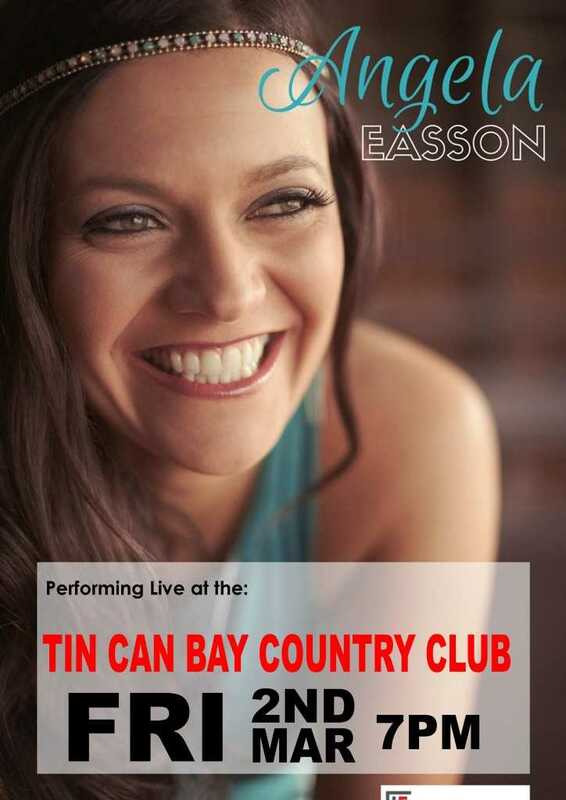 See Angela perform Friday March 2 at the Tin Can Bay Country Club.